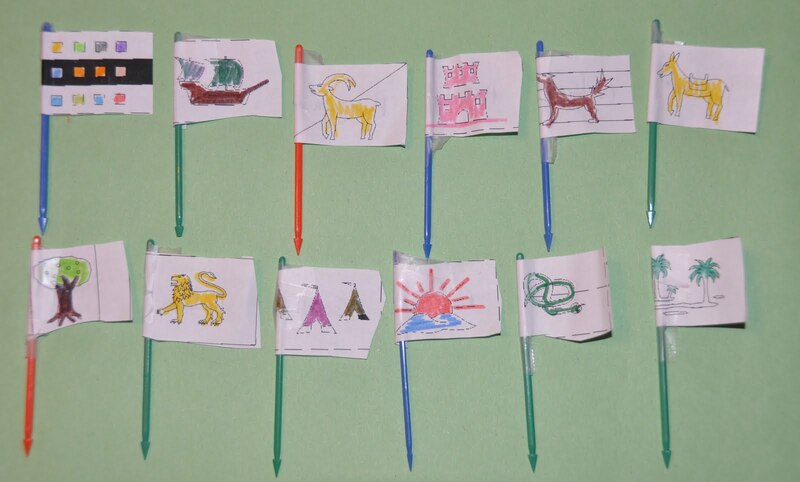 This week’s parsha, Parshat Noach, has very colorful craft potential! After the devastating flood, God promises Noah that he will never destroy the world in this way again. As a sign of this covenant, He places a rainbow in the clouds. 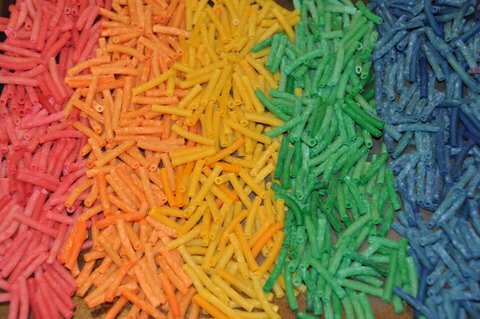 All rainbow-related crafts are great for this parsha. 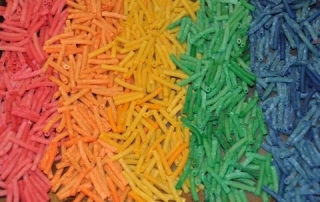 But, kids will especially love dyeing their own pasta, stringing it, and wearing it this week. 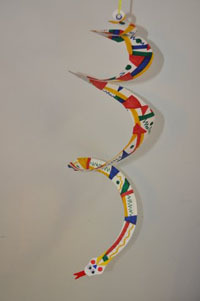 Parsha Craft: Vayichi. HaMalach Pillowcase. 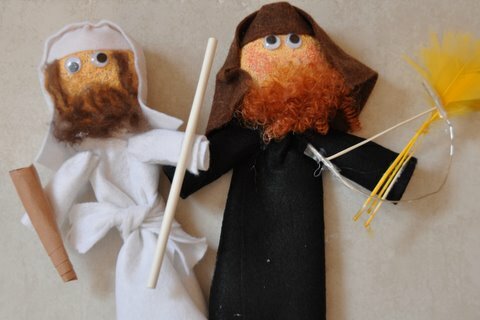 Parsha Craft: Lech Lecha. Glitter Globes. 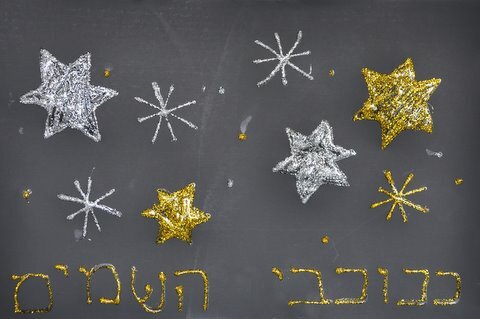 “And He brought him outside, and said, Look now toward the skies, and count the stars, if you are able to count them; and he said to him, So shall your seed be.” (Genesis 15:5) Kids love stars and they love glitter so any project involving the two would be great for this week’s parsha. 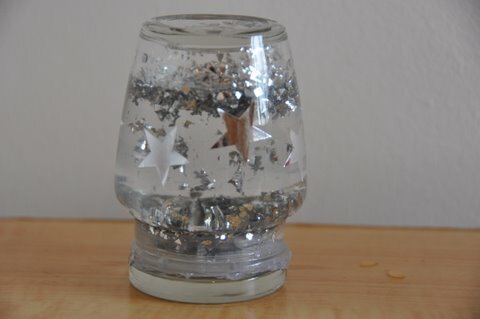 I have always wanted to make a “snow globe” so I decided to use this as a chance to make a “star globe” instead! This week’s parsha, Parshat Lech Lecha, is all about journeys. God commands Abram to “Go forth from your native land and from your father’s house to the land that I will show you” and “Up, walk about the land, through its length and its breadth, for I give it to you.” Abram obediently follows God’s command and begins to walk – step by step – through the sands of the desert to reach his ultimate goal and destination. 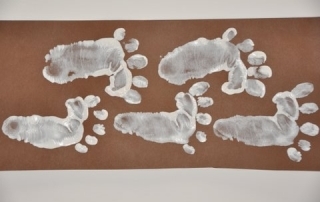 Since it is still the beginning of the school year, this is a great opportunity to ask your kids where they would like to reach or what they would accomplish by the end of the year and what “steps” they will have to take to get there. 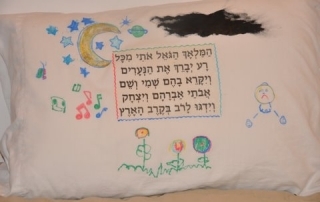 In this week’s parsha, Parshat Devarim, Moshe starts his final speech to the Children of Israel. 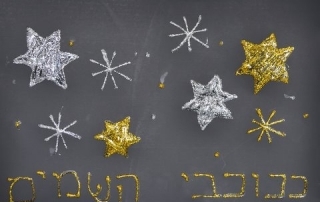 He reminds the people that God “multiplied you, and behold, you are today as the stars of the heavens in abundance.” This is a fulfillment of the promise God had made to Abraham back in Parshat Lech Lecha that his descendents would be as numerous as the stars of the heaven. 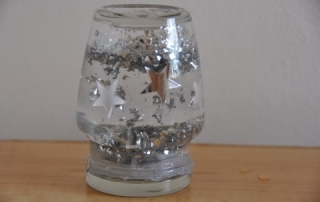 Most kids love stars and glitter so this is a chance to do any variation of a star craft. 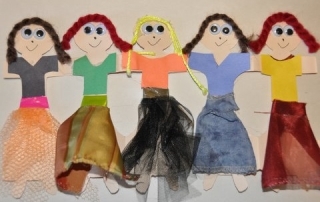 In Parshat Pinchas, we meet the five daughters of Tzelafchad: Machlah, No’ah, Chaglah, Milkah and Tirtzah. When Tzelafchad dies, these daughters petition Moshe to grant them their father’s inheritance since he had no sons. 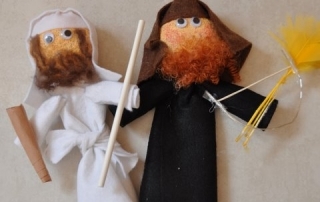 Parsha Craft: Bamidbar. 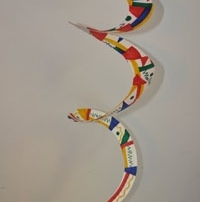 Twelve Tribes Flags. This week’s parsha, Parshat Bamidbar, is the opening to a new book of the Torah called Bamidbar or Numbers. This parsha introduces us to the 12 tribes of Israel and their encampment in the desert. 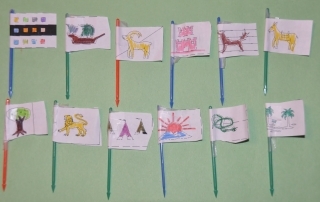 Each tribe had a flag in a distinctive color with their tribal symbol (for example, Judah’s symbol is a Lion; Dan’s is a scale, Benjamin’s is a wolf). 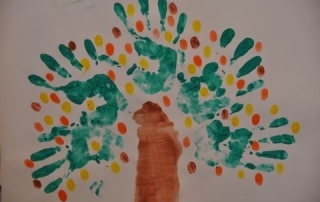 This parsha provides a good opportunity to talk about how the Jewish community is made up of many different groups that each contribute in different ways.